Although born in Ohio, George W. Sanders and his family had moved to Cotton Township, Switzerland County, Indiana by 1850. After their marriage, George and Sarah Jane remained in Switzerland County until their deaths. This entry was posted in Switzerland County and tagged Bascom, Dunning, Durbin, Estep, Ford, Heady, Pickett, Sanders, Stow, Turner on July 17, 2014 by oahblog. William left Mt. Sterling, Montgomery County, Kentucky about 1834 and came to Indiana. He resided in Harrison Township, Boone County, until 1878 when he emigrated and moved west to Kansas, remaining there until his death. This entry was posted in Boone County and tagged Brown, Clements, Ford, Franklin, Hardendorf, Hiland, Hutchings, Johnson, Shirley on May 10, 2014 by lisaellam. 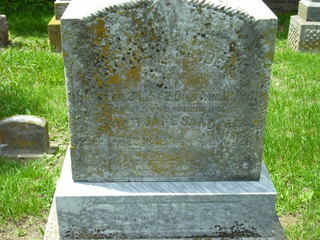 David left Indiana after the 1880 census and was in Minnesota by 26 July 1881. He was a preacher for the Church of the Brethren. He was in Texarkana, Arkansas, in 1898-1899; Jolla, Arkansas, 1900-1904; Lanceburg, Arkansas, 1905-1916; and Chadron, Nebraska, 1916-1917. This entry was posted in Decatur County, Jennings County and tagged Berkman, Dillard, Ford, Hopples, Jetton, Malcolm, Mann, Weaver on April 7, 2014 by lisaellam.